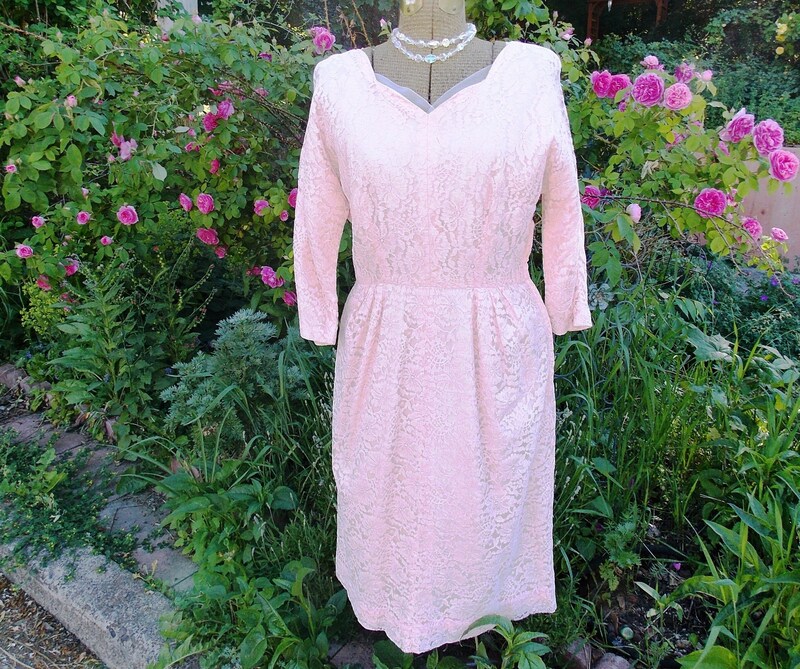 Vintage 1940's Peony Pink Guipure Lace Dress! 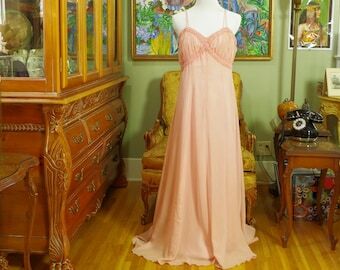 *DIVINE 40'S DETAILS: pastel peony pink guipure floral lace fabric, fitted bodice, sweetheart neckline, bateau back neckline, bracelet length sleeves, natural waist, slightly flared skirt, metal side zipper, pink silky rayon cire lining, pinked seams. *DESIGNER LABEL; none. but beautifully made by a skillful seamstress. 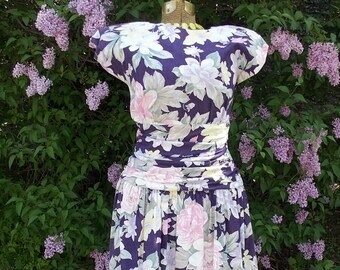 Chic 30s Gold Silk Day Dress . Vintage . 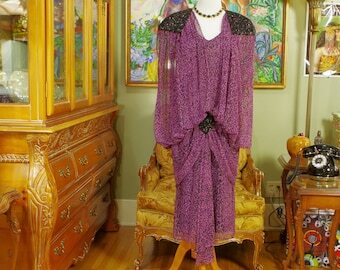 Subtle Asian Brocade Print . Apple Juice Bakelite Buttons . Side Snap Closure . Hand Tailored .